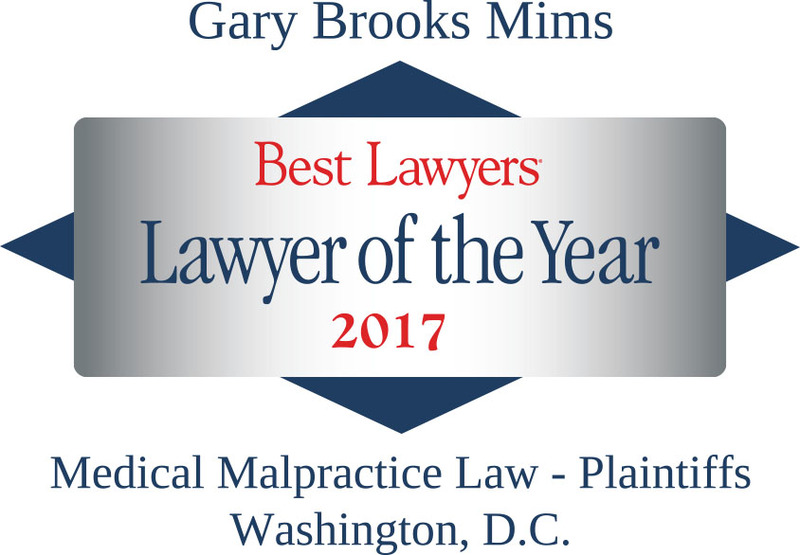 In addition to the Lawyer of the Year award, Gary Brooks Mims was also listed in the 2017 Best Lawyers in America for Personal Injury Litigation – Plaintiffs. Since it was first published in 1983, Best Lawyers has become universally regarded as the definitive guide to legal excellence. 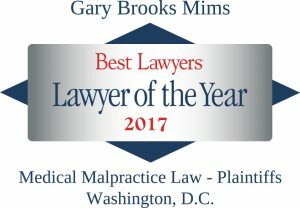 Gary B. Mims has practiced law since 1980. He was a defense litigator for 20 years, defending a heavy schedule of trials involving automobile, trucking, train and other transportation accidents and a wide variety of personal injury cases. He developed a special interest and significant experience in medical malpractice, first from the defense side, and since 1999, as a plaintiff’s attorney. Gary has successfully represented clients in complicated medical cases involving, among other things, failure to diagnose cancer, defective joint prostheses, brain injury, anesthesia-related injuries and weight-loss drugs. He has also successfully represented clients suffering injury and death by a massive train wreck, defective golf course design, and a defective storm retention pond, among others.